Very comfy! And awesome price! 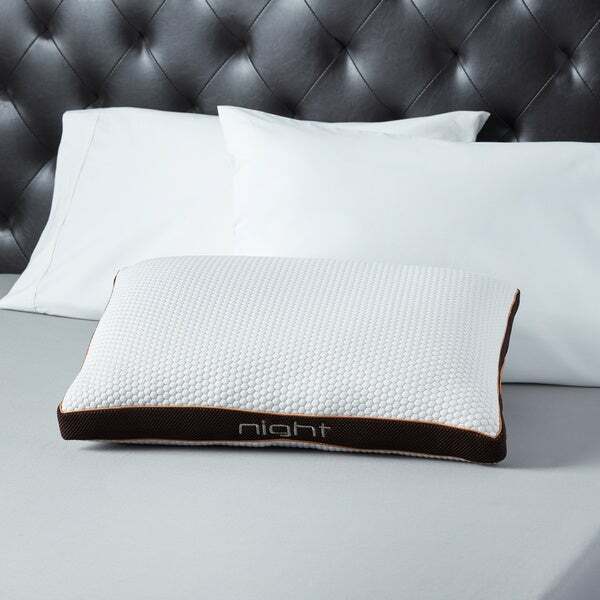 The night pillow has Contouring loft with a higher profile, and is engineered with a sculpted crown of visco-memory foam plus custom blended Suspension Foam with a conforming 'shock absorber' core. Step up from pure fiber pillows -- Specialty Foams conform at the same time & temperature as your body and your bed. Unique dual-chamber construction suits customers who sleep with their arms beneath their pillows our foundations contour to your frame, without causing push back to the surface. No neck pain after sleeping on these pillows. Great! Super supportive, but not hard. comfortable from the first use. My neck and shoulder pain is gone. And, the pillow doesn't seem to get hot or need flipping during the night. It is so comfortable. Best pillow I have ever slept on. I am so happy with this purchase! i bought a bedgear at the mattress store for much more $$ but then it is much firmer and better. I have one of these pillows. I liked them so much I wanted two more. Even though they are from the same manufacturer and have the same item name, they are not the same pillow. It's not as high,nor dense, nor does it have a "cool" side like my other "night" pillow. I'm so disappointed! 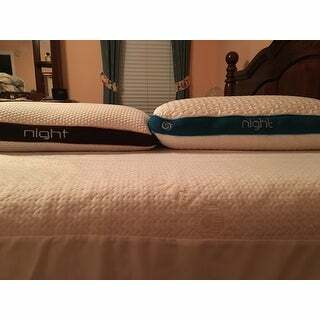 The one on the right was pillow I had vs one on left is one I ordered. A better nights sleep that is cool and dry! Looking for a firm side sleeper pillow. Great pillow for people with neck problems!! !